Trailblazer #461 is a nice two story family home that has the essentials needed for a great mountain vacation, including essentials, entertainment, amenities, all while sitting on a secluded lot close to the down town Village area. The equipped kitchen includes cookware, utensils and appliances including a dishwasher, plus two separate dining areas with ample seating for large meals. There is a cozy and relaxing living room area that offers comfortable couches, a toasty wood burning fireplace, and a TV/DVD player and laundry room are available. Off of the kitchen area is a massive back yard with a nice sized deck and secluded private hot tub available for your enjoyment. All of the sleeping quarters are located on the second level of this property, with the massive Master Suite having a private balcony overlooking the treed back yard and spa area. The garage has been converted to a game room which offers a massive TV with Cable and game cords, and there is a full size pool table for your use. 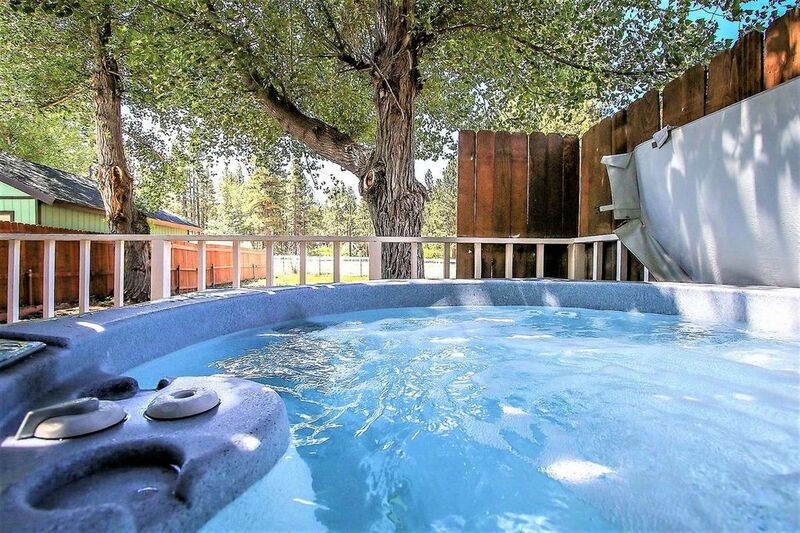 Trailblazer is a great fully furnished home, packed with entertainment, fun, and relaxation, plus boasts a most supreme location, making this the perfect home to spend your next trip to Big Bear! Hot tub and pool table were bonuses. Comfortable beds. Kitchen needs some bowls and new frying pans. The family all enjoyed the weekend! Thank you so much for allowing us the opportunity to host you for this trip to the mountains! We appreciate having you as our guests and hope that your time with us was a very memorable experience. We are looking forward to the opportunity to host you and your family again for your next trip to Big Bear!